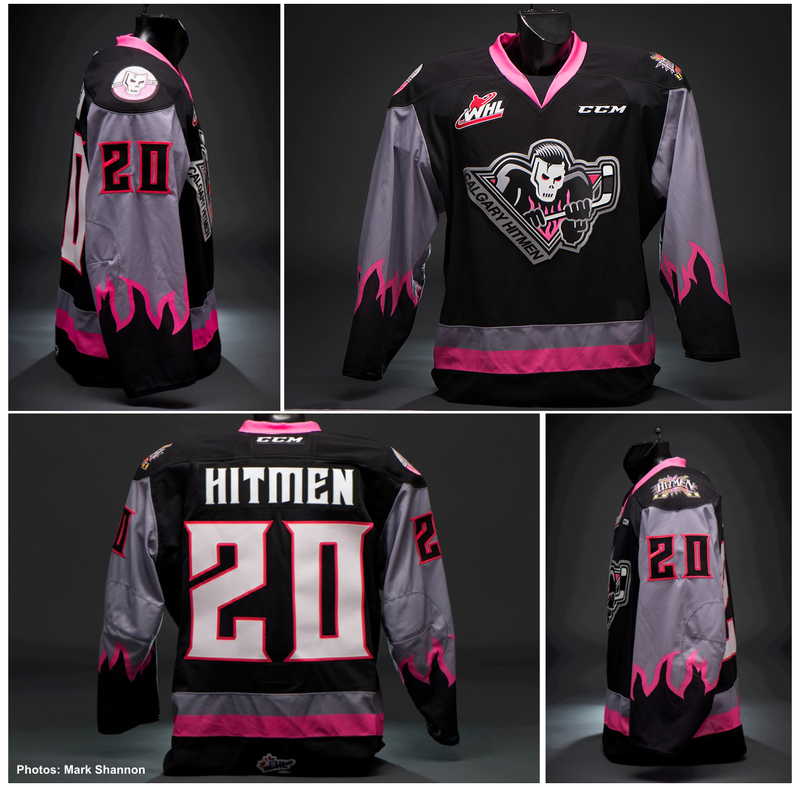 Today the Calgary Hitmen of the WHL revealed the throwback jersey they will wear for the 2014-15 season. The jersey is a near exact copy of their sweater from the 1995-96 season. The shade of pink has been lightened and the grey has been darkened. Shoulder patches will be used, which was not done on the original jersey. 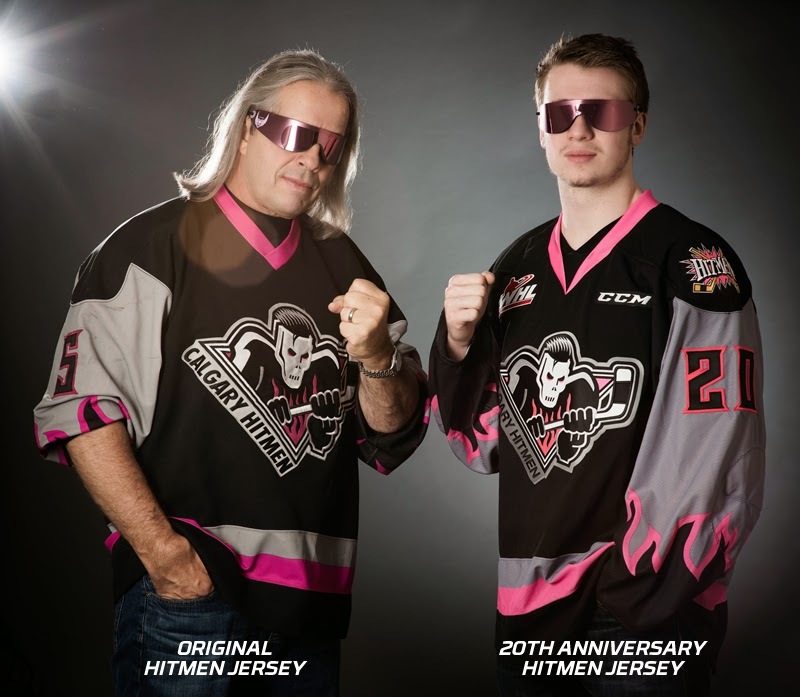 One shoulder patch will be the original Hitmen logo (very 90's). The other shoulder patch is a classic roundel which features the saying of the pro wrestler that the team is named after. Bret "Hitman" Hart's "The best there is, best there was, and the best there ever will be." Maybe it's because I was a big wrestling fan in the 1990's and maybe it's because Bret Hart was my favourite wrestler. Or perhaps it's because you can get 10% off if you pre-order the jersey this summer, but I want this jersey. It's a bit goofy and ridiculous, but it reminds me of a fun and simple time in my life. Of note is the use of CCM branding where Reebok would typically be. Is this a sign of a league wide, and perhaps company wide, switch for the 2014-15 season? Will the CCM brand take the place of Reebok for all hockey related items. For those that don't know Adiddas owns Reebok, who owns CCM. Adiddas would like to return Reebok to a "running associated brand" and thus the removal of it from hockey sweaters is likely. 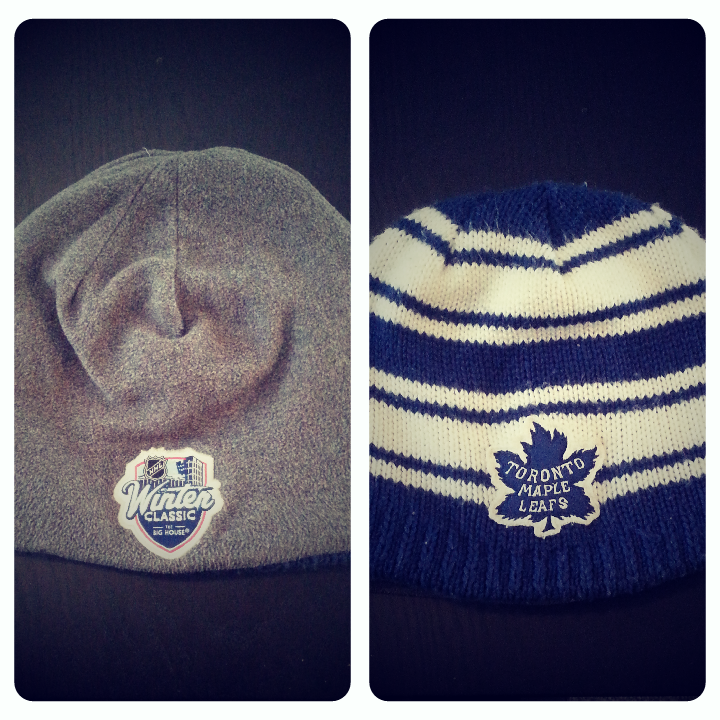 It took me about three months after purchasing the Leafs' Winter Classic toque, but I realized that it was using the 2013 Winter Classic logo and not the updated 2014 version. Obviously the toques were produced prior to the lockout cancelling the 2013 game. This isn't groundbreaking news, but rather an observation that the NHL approved the sale of these hats with the "old" logo. Hockey: A People's History. It was done by the CBC (Canadian Broadcasting Corporation) in 2005. It's a 10 episode mini-series with each episode running about 45 minutes. It covers the history of hockey from it's first days to the end of the 2005 NHL lockout. Find a way to get your hands on this set anyway you can. Every minute of it provides a necessary history lesson and the vignettes created to portray these historic moments are very well done. The sweater looks fantastic. I really hope that its a sign that CCM will return full time to hockey sweaters.